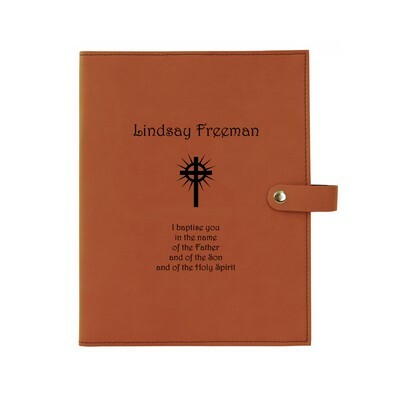 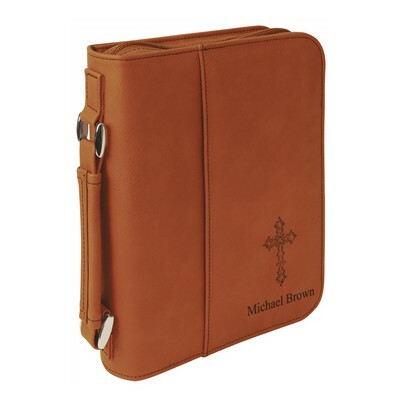 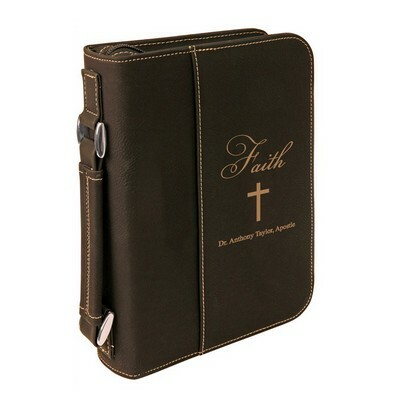 This light brown leatherette bible cover can fit any bible book up to 2" thick.The dimensions are 7.5 x 10.75". 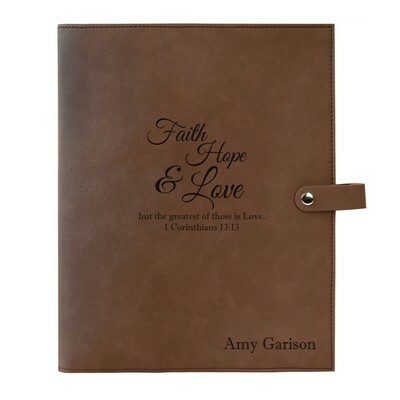 The inside of the cover features 2 flaps to hold the book securely in place. 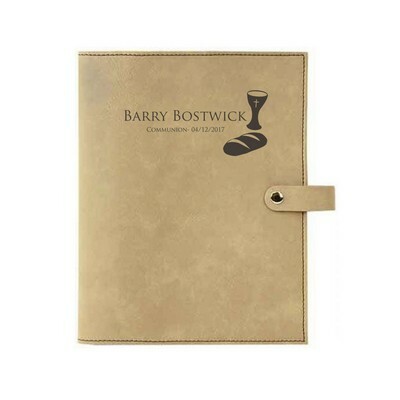 The inside is also lined with soft nylon to protect your book. 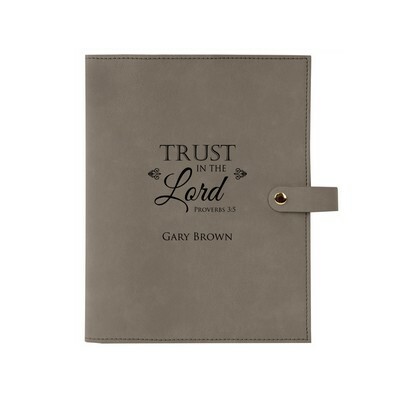 The bible cover also includes a black elastic band to hold a pen inside. 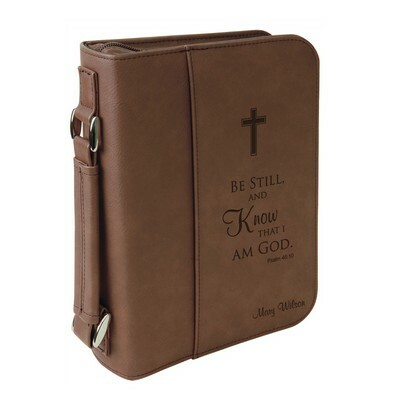 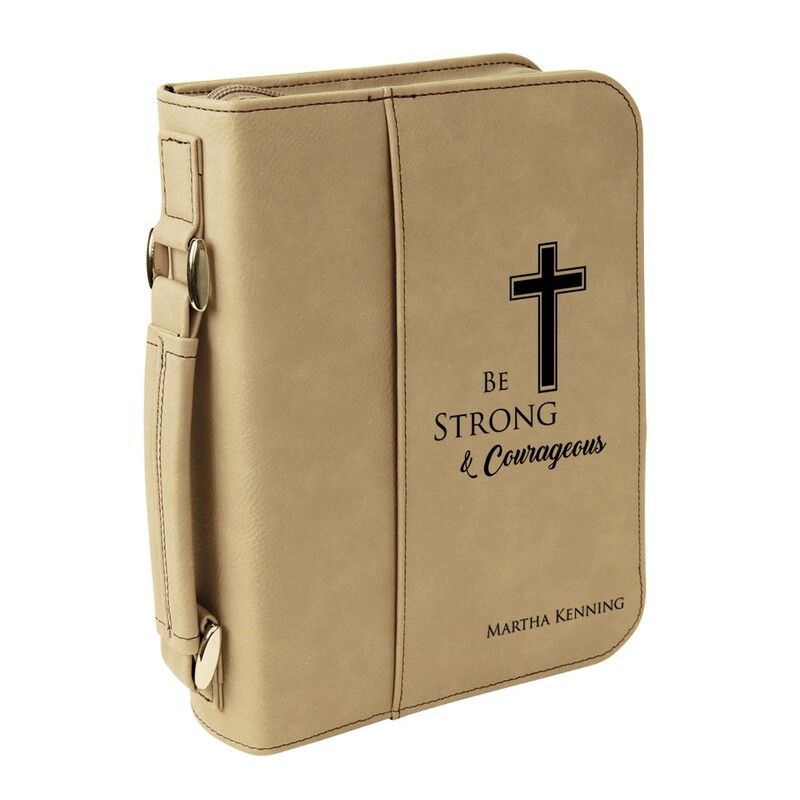 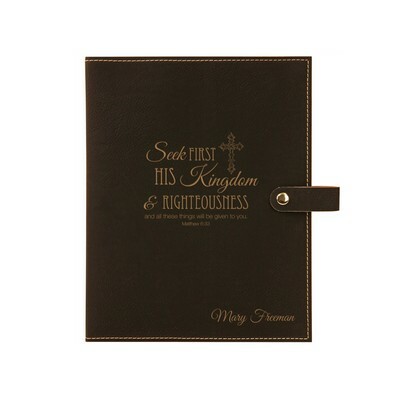 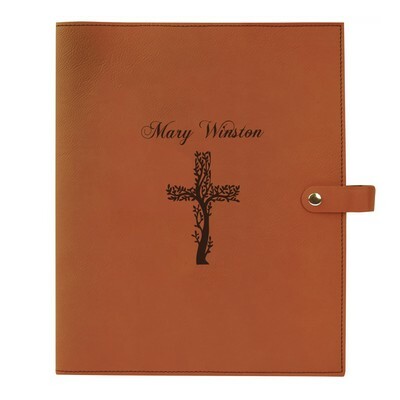 This is a very sleek and sturdy bible cover to keep your bible protected and to give it a beautiful personalized look.